While Bungie’s intent on keeping the finer details of Destiny 2‘s debut raid a secret, the developer clearly has no qualms with opening up about other aspects of the upcoming shooter. As part of a new series of IGN First videos dedicated entirely to Destiny‘s successor, Bungie’s pulled back the curtain on the new social hub that will be replacing the Tower from the original. Just in case you’ve been living under a rock for the last few months, Destiny 2‘s long-awaited gameplay reveal back in May confirmed the long-standing suspicion that the Tower and Last City would be invaded and destroyed in the opening moments of the sequel by a force led by the big bad Dominus Ghaul and his Cabal Red Legion. Naturally, the human population is forced to flee the war zone and set up shop somewhere else, which, as we now know, is The Farm. Trading the pristine and futuristic walls of the sky-high Tower for a more rustic location, The Farm’s features couldn’t be more true to its name, with chickens, plowed plots of land and stretches of greenery reaching further than the eye can see. Of course, all of the features players have become used to over the last three years, i.e. Cryptarchs, Postmasters and other NPCs, all return for the new social hub, but they’re joined by several new arrivals. Ambient NPCs, that is, characters that will come and go based on events that unfold in-game will appear, with some showing up as the new base of operations develops. 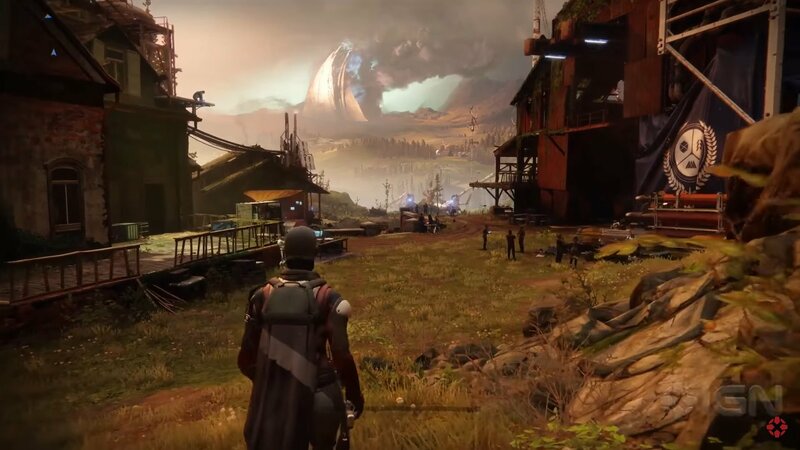 Indeed, instead of a static, never changing space, The Farm will continue to evolve and develop as players progress through Destiny 2‘s campaign, providing plenty of incentive for repeated visits to see what’s new. Ryan Ebenger shares a few extra details in the video not covered here, but we’ll let you discover them for yourselves above. Destiny 2 is out September 6 for Xbox One and PlayStation 4 and October 24 for PC.